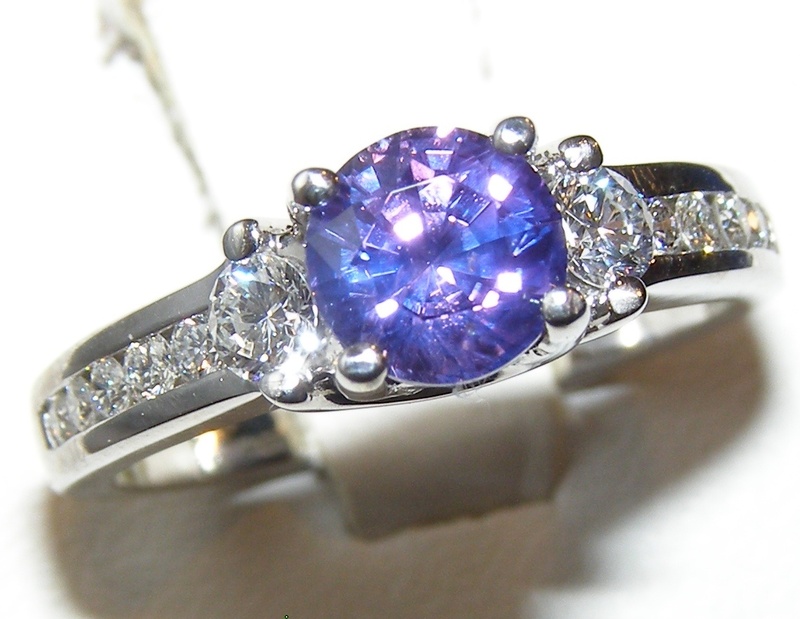 One of the more difficult colored gemstone technical terms to describe is ideal color saturation. 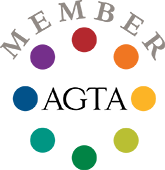 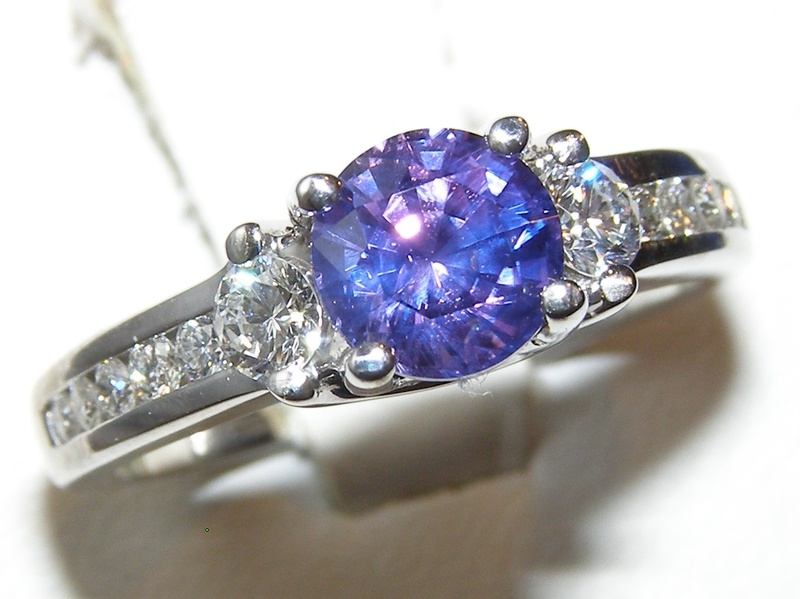 Every colored gemstone has an ideal percentage of color saturation which is often described as rich in color. 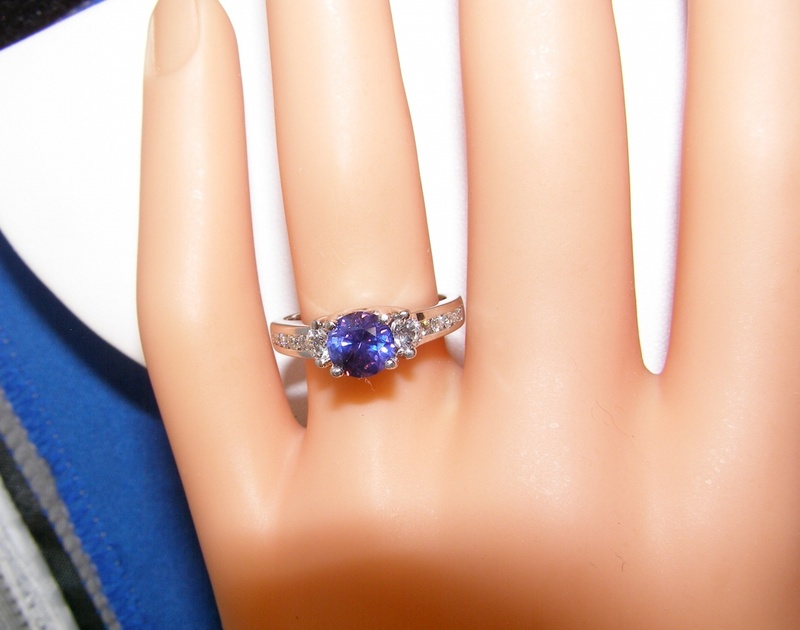 For example blue sapphires have top saturation when the blue color reaches 85% significantly more than this results in a dark or black appearing stone and significantly less would be a lighter blue stone. 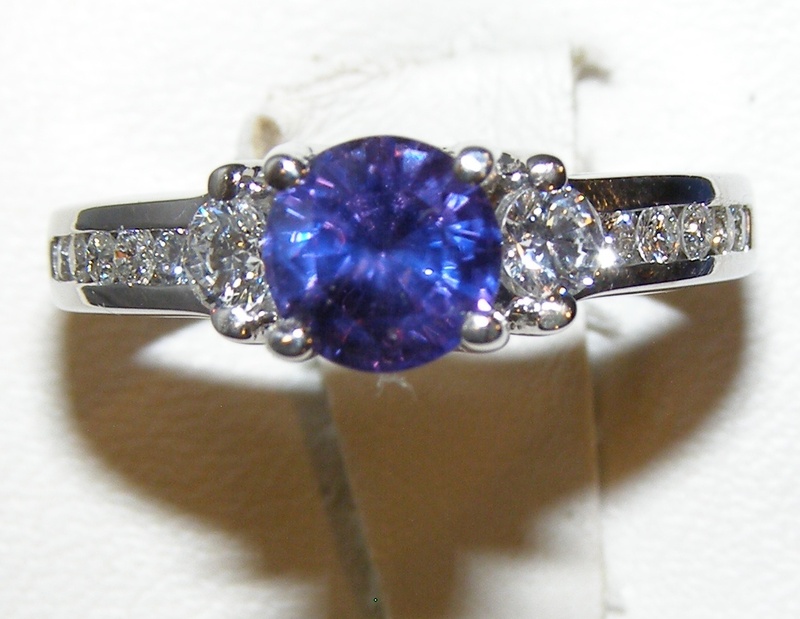 An easier example would be to have one look at this purple sapphire with perfect saturation level. 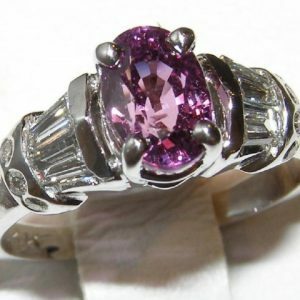 The color is incredibly rich with strong purple hue and fainter secondary pink. 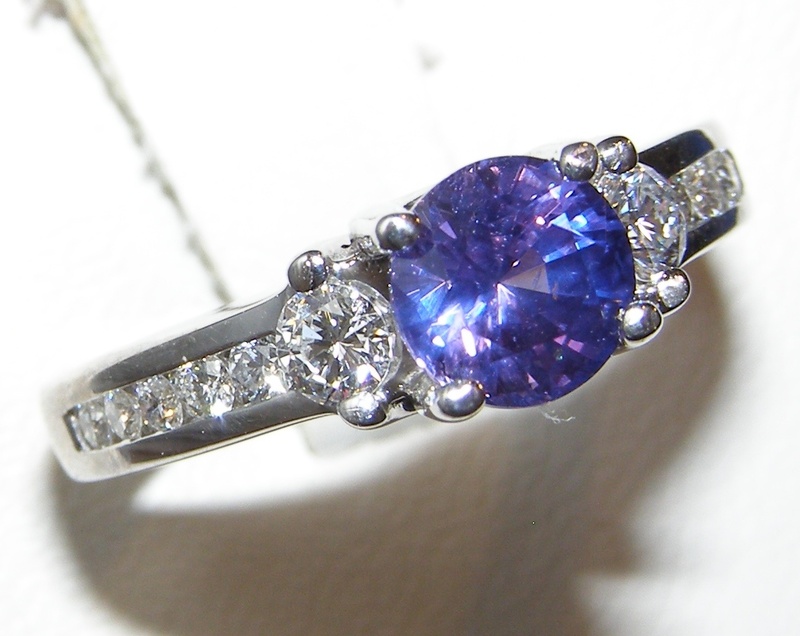 This Ceylon sapphire is expertly cut in the US and has precision round brilliant facets. 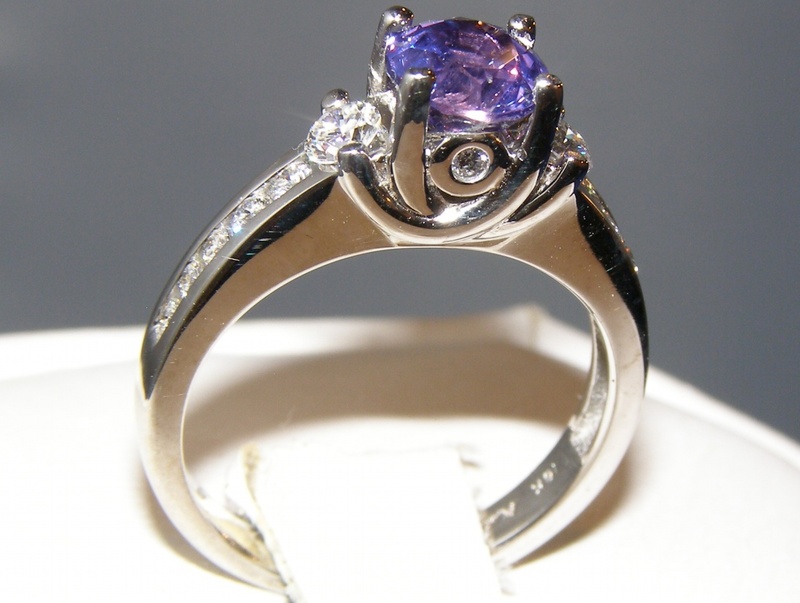 The stone weighs 1.30 carats, is unheated and certified by the prestigious American Gem Lab and has near loupe clean clarity. 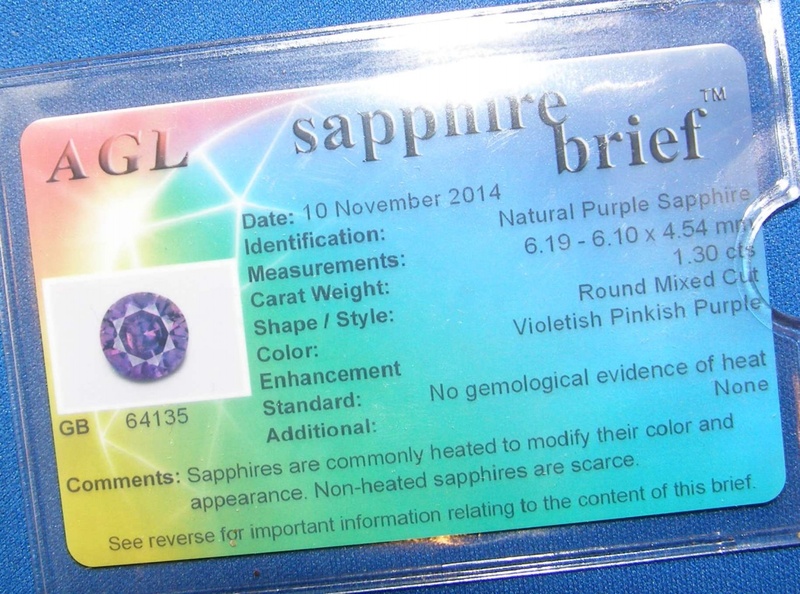 The round brilliant cut elicits tremendous electric flashes of purple and pink. 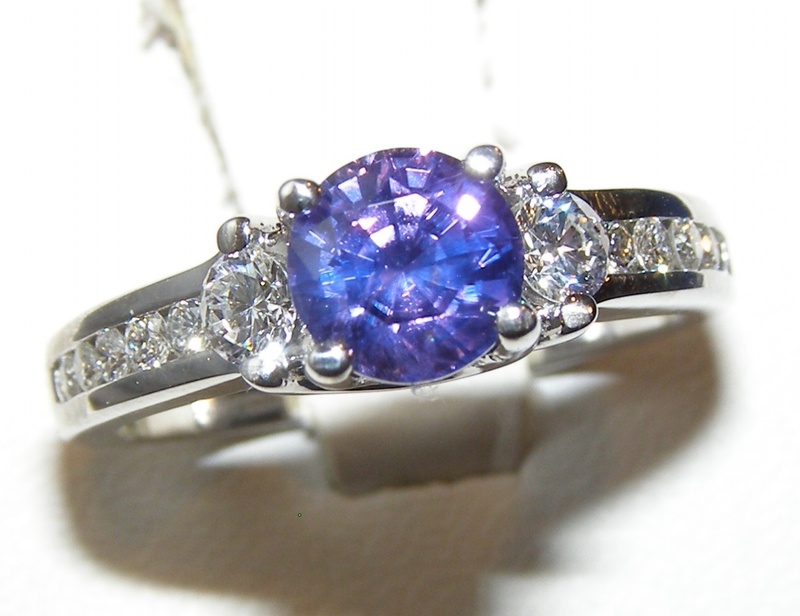 Prong set this top quality sapphire is placed in a fine A Jaffe designer mounting with 0.50 carats total diamond weight. 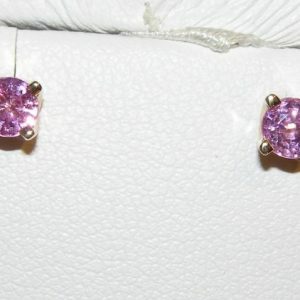 These high quality diamonds are VS1 clarity and G color. 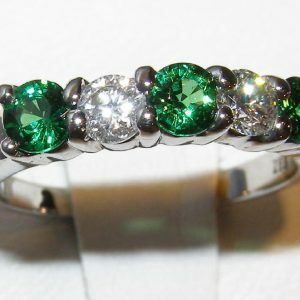 The ring weighs 5.3 grams of 18K white gold and is a size 61/2 (please let us know your size preference on the order form).